Mariette Bertrand held up Lord Malcolm's carriage on the Devon moors to retrieve the signet ring, a family heirloom, that her cousin lost at cards. When she was injured in the attempt, Lord Malcolm took her to his sister's house. Love blossomed, but could it survive if he arrested her cousin as a French spy? 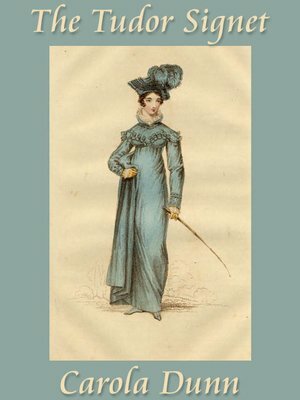 Regency Romance by Carola Dunn; originally published by Zebra.